With Thanksgiving upon us, many are starting to make the trek home from school to unwind and bask in the holiday spirit with family and friends. I’ve been counting down the days till this break for a while and am elated to finally be home. However, I’m starting to feel wary because if history repeats itself then my bank account is in trouble. For a lot of us, break consists of reuniting with pals from high school by going out to eat, grabbing coffee, or seeing a movie. By the end of break I’ll find that the Starbuck’s barista has memorized my name and order, I’m ten pounds heavier from all the dining out, and I could give a solid review on every movie out in theatres. If I’m not with friends, I’ll often make trips to Border’s for books to read during my downtime or I’ll take advantage of the fact that I have a decent shopping mall within driving distance. When break wraps up, I’m always struck with the harsh reality of all the cash I unconsciously squandered away. I’m wiser now. I’ve learned from the past and am determined to maintain financial stability. At first I considered shunning my friends and remaining in the confinement of my home to avoid spending a dime but I realized the toll this might have on my emotional well being would outweigh the damage I’d do to my bank account otherwise. So, I did a little brainstorming and came up with some ways to save money during break without sacrificing the social life and guilty pleasures. Always go to matinees. At AMC theaters a matinee (before 6 p.m. Mon-Thurs and non-holidays; before 4 p.m. Fri-Sun and holidays) is $8.50 whereas a night showing is $10.50. AMC also has a $6 special for all shows before noon on Fri-Sun and holidays. Whether you go during the day or at night, bring your student I.D. just in case because some theaters depending on location offer student discounts. Go out to eat at the right place, at the right time. 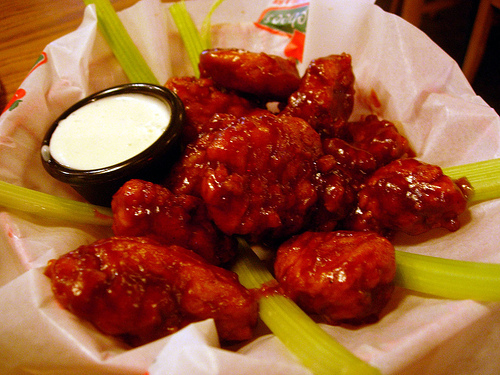 Some chain restaurants offer discounted appetizers during certain periods of the day. Applebee’s offers a late-night special where you get 50% off of all appetizers (with the exception of the Sampler) after 9 p.m. Sun-Thurs. Chili’s has a happy hour special 3-7 p.m. Mon-Fri where customers can receive a free basket of wings per table or check. I’d call a restaurant in advance to find out about specials because they’re usually not spelled out on the menu and can vary by location. Hit up the local redbox. The box never ceases to amaze me. Get a group of friends together, convince someone to offer up their living room or basement for movie night, and rent $1 movies from your nearest redbox. You could even go as far as making everyone split the cost. Just think: Four friends, one movie, and maybe even some board games could equal a great night for only 25 cents. Make a trip to the public library. I don’t know why this didn’t occur to me before. Every time I’m home I make a mad dash to the bookstore and unnecessarily shell out money for books I could most likely obtain for free at the library ten minutes up the street from me. Not anymore. I got a library card that took two minutes to fill out paperwork for and thanks to the internet I won’t have to worry about late fees because I can renew books online from the comfort of my home. If you have a book in mind you’d like to read, check the website of your public library to see if your desired book is in stock and you might even be able to reserve it online. Find free museums. I realize some of you might hear the word “museum” and think lame but this is a lot better than sitting at home watching America’s Next Top Model marathons or spending hours on Facebook stalking friends. Virginia is abundant in history and offers an array of interesting museums, some of which you can access for free. I found a List of museums in Virginia that gives locations and descriptions of museums as well a link to their website so you can check out the admission. 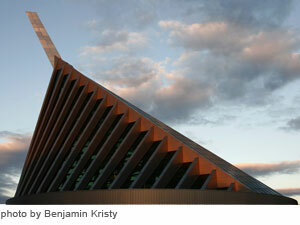 I’m going to try to make a stop at the National Museum of the Marine Corps since it’s free and 8 minutes from my house. Well, those are some of my suggestions for a frugal yet fun Thanksgiving break. Let me know what cheap activities you guys plan on doing. I hope all of your funds survive the week!